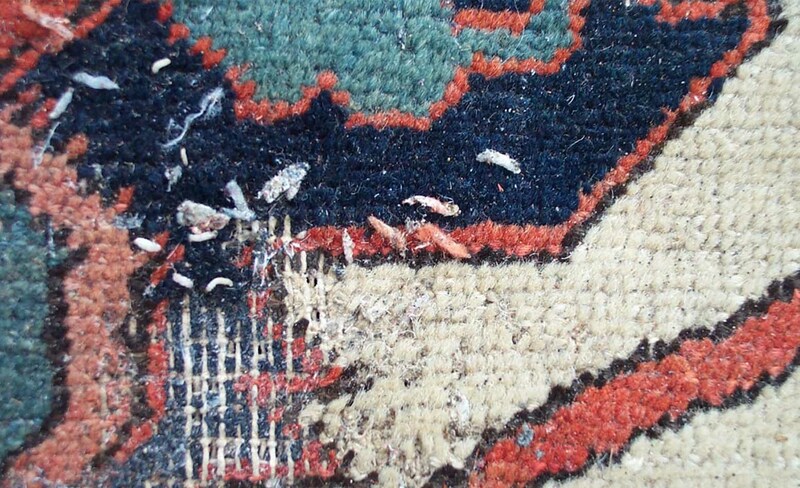 Insect pests cause irreversible damage to rugs and carpets that is costly to repair. 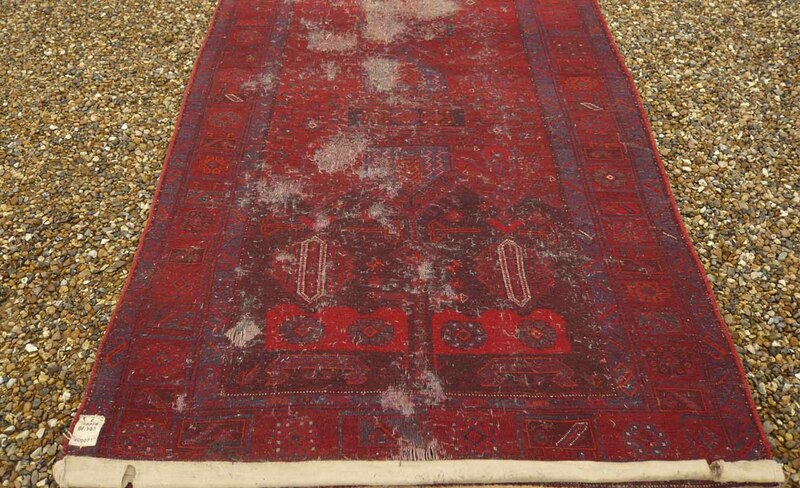 With climatic changes creating the perfect atmospheric conditions for insects to breed, along with the withdrawal of many insect proofing agents due to their carcinogenic properties, we have seen a considerable increase in the amount of rugs brought in to us over the last few years containing insect infestations. The Studio has carried out research into the field of natural insect eradication using processes that are harmless to the textile and people’s health. 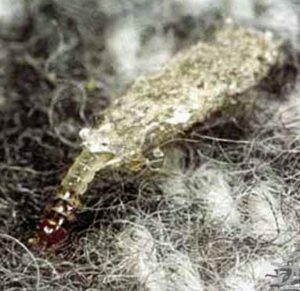 The most common insects that harm rugs and carpets in the UK are clothes moths and carpet beetles. 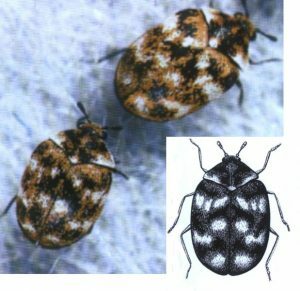 Carpet beetles and moths fly indoors readily in the spring and summer months to lay eggs. They prefer little disturbed, dark warm conditions so are more likely to be found in stored textiles, on the back of rugs or on rugs where covered by furniture. The females will lay eggs on wool, fur, feathers, skins or soiled textiles, which all provide nutrients for the growth of the larvae. Stored rugs are especially vulnerable; they provide a perfect undisturbed environment where insects happily breed. 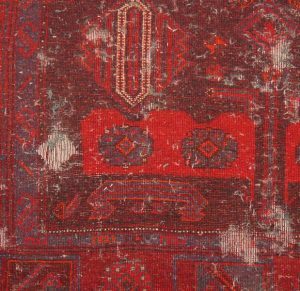 The locations in which rugs are most commonly stored are in attics, cellars and garages. These locations are attractive to birds and rodents where they nest and excrete; this in turn provides a source of nutrients attractive to insects. Rug storage advice can be found below. The larvae resembles a small cream coloured maggot. It will leave a trail of grazed textile with fragments of excreta (frass). The cocoon it spins resembles silk like sheets or tunnels, which looks like a slug has left a trail across the textile. Adults are small dull fawn moths about 5-7mm long. 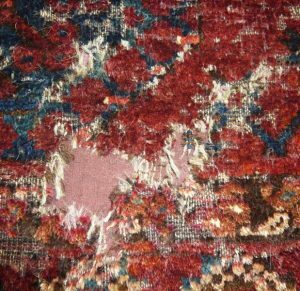 Moth damage is often clearly identified in piled rugs where the pile has been damaged forming irregular bald areas and leaving just the base of the knots intact. Holes may be caused in the ground weave if it is made of wool. 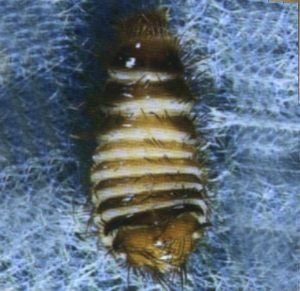 Rug damage is not caused by the adult beetle but by the short fat hairy larvae often referred to as ‘woolly bears’ which grow to about 4mm long. Adult beetles are 3mm long and covered with a pattern of grey and gold scales. 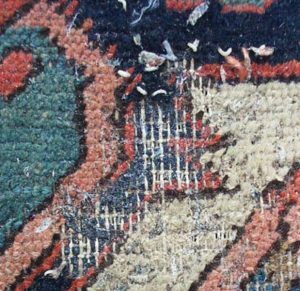 Damage from beetles is more commonly found on the reverse of a rug. 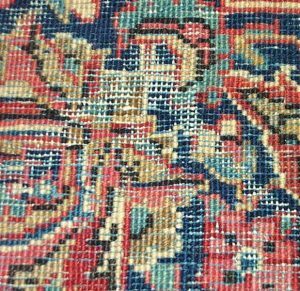 Irregular patterns may be formed where the back of knots have been damaged. The chemicals in many mothproofing products can have long-term harmful effects. Obtain advice prior to their use. We provide a moth proofing spray for use on underlay and fitted carpets. 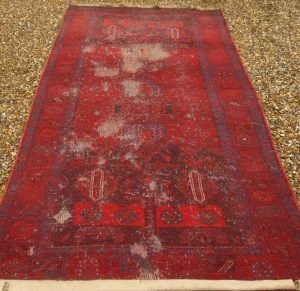 When storing rugs make sure they are clean as the larvae are particularly attracted to feeding on soiled rugs. Wrap rugs securely in canvas. Stitch or tape the edge to form a seal. Check regularly for evidence of insects. 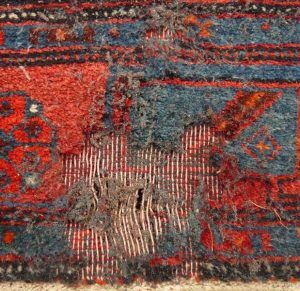 Avoid storing rugs in plastic; fluctuations in temperature and humidity can cause condensation resulting in mould growth. The active ingredient dichlorobenzene in moth balls has been found to be carcinogenic so avoid in frequently used areas. We do not recommend their use but if you decide to use moth balls, position them near to stored rugs, but not directly in contact as they could cause harm to the textile. The search for alternatives to insecticides has intensified in recent years after concerns over the effects of chemicals on objects, people’s health and the environment. 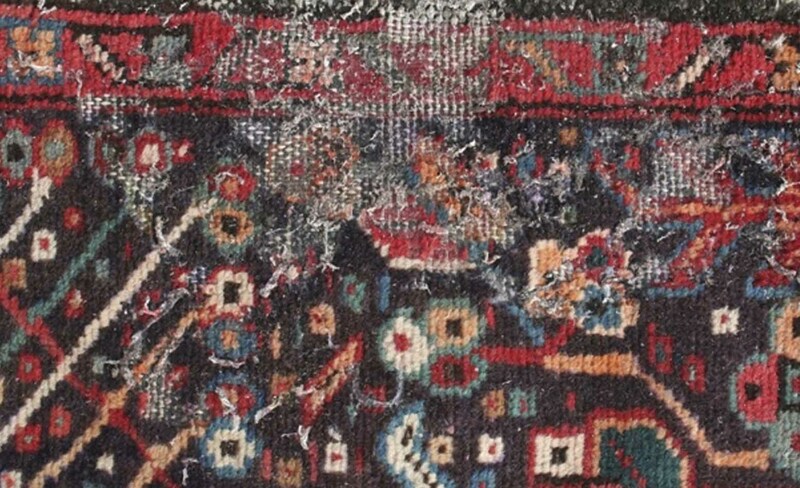 Do not reach for the nearest can of insecticide as this can harm your rug. 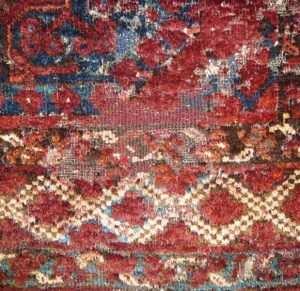 Isolate the affected rug(s) to avoid contamination to other rugs and textiles, and then obtain advice. If you have used a vacuum to get rid of insect frass, do remember to dispose of the hoover bag, otherwise the insects could thrive inside the bag. The Studio has carried out research into the field of natural insect eradication using processes that are harmless to the textile. These include heat and freezing treatments. 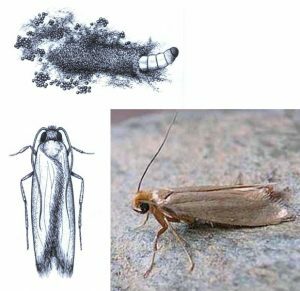 These processes kill the egg, larva and adult carpet moths and beetles with the use of extreme temperatures rather than chemicals. The insects cannot regulate their body temperature so they die in these conditions. 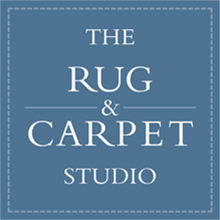 This service is available through The Rug & Carpet Studio. Moth damage repair. The surrounding area is stitched onto a dyed support fabric and embroidered to cover/protect and re-instate the design. Please contact us if you require any of the above factsheets.